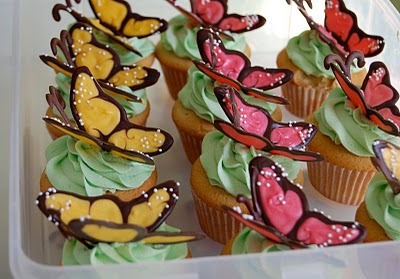 You won't be able to host a party without making these gorgeous butterfly cupcakes. Just look at the stunning Butterfly wings. 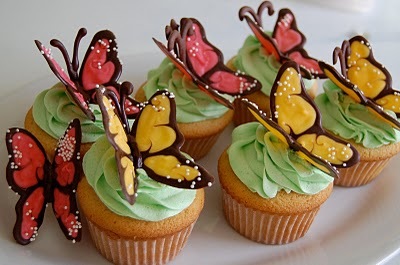 Maria from Chef Mommy is sharing her instructions for making these butterflies. Thanks very much Maria. Maria's blog is full of great recipe ideas which are all easy to follow and very family friendly. 1. On a piece of paper draw the templates for the butterfly wings and antennas. 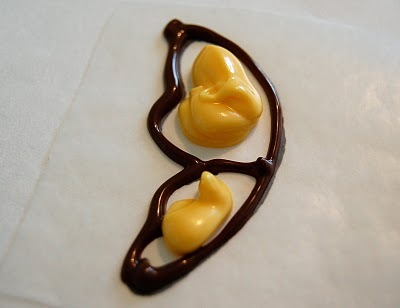 Cut small squares of wax paper. 9. 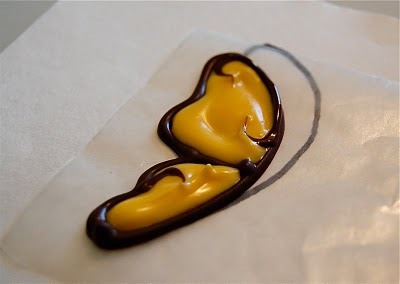 Once the butterfly wings are completely dry, gently peal them from the wax paper. Fold a piece of stiff construction paper, then open and place inside a bowl to held hold it's shape. 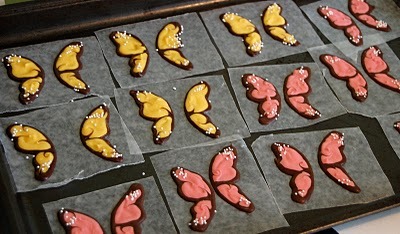 Fold the wax paper in half also and place on top of the stiff paper, then add the wings so they are touching each other. Pipe dark cocoa in between the two wings to make the body. Keep the butterfly in the two papers till completely dry.